We kicked off our all American summer tour this year at the America’s Family Pet Expo in Costa Mesa, CA and what a weekend to start things off! 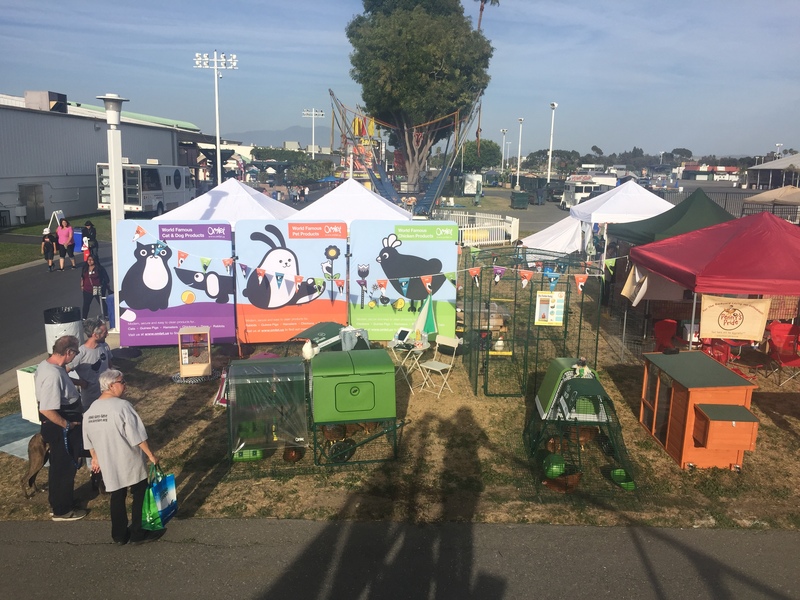 We arrived at the OC Fair and Convention Center to start setting up, to exhibit we took an Eglu Cube, an Eglu Go UP, Eglu Go Hutch, Outdoor Pet Run and our brand new Fido Studio Dog Crate. Our stand was located opposite Splash Dogs which was a very entertaining spot to have as we spent all day watching the dogs rehearse for the big show over the weekend…not ideal when we were supposed to be setting up! Nonetheless we got our stand built and it looked great, we were very excited for the show to begin! The America’s Family Pet Expo is a family friendly event that happens over 3 days in April. 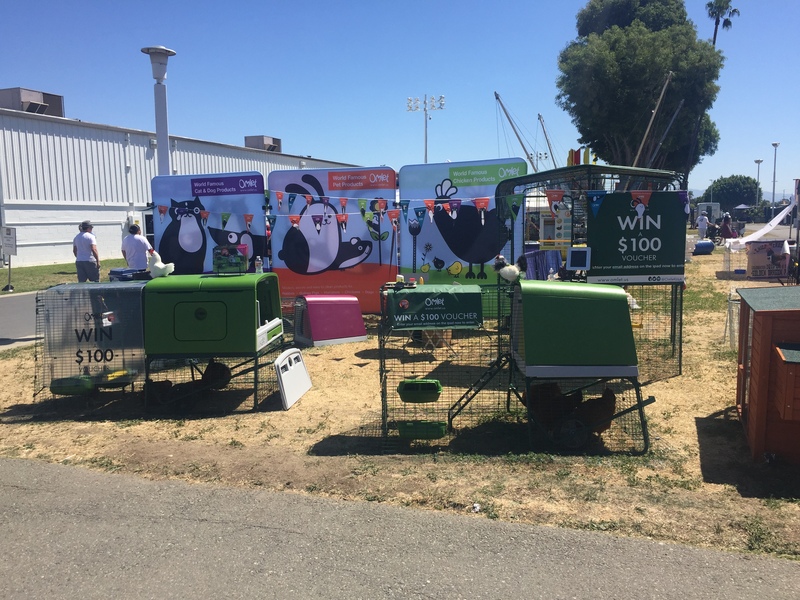 The expo is held at the OC Fair and Event Center which is a great venue as there’s a number of indoor and outdoor spaces for visitors to work their way around, over 70,000 visitors came to see the show over the weekend. There’s a number of different breeds and societies for people to see and ask any questions about the pets they’re thinking of getting. There is also some fantastic volunteers working for rescue charities where you can adopt pets and learn more about the adoption process. This was the first year the show had a backyard chicken keeping area which was very well received, many visitors who we spoke to either already had chickens or were thinking of getting them. We spoke to the show organiser after the show and they’re looking forward to hosting an even bigger and better chicken keeping area next year! We would like to thank the Bichon Rescue of Orange County – Seniors for Seniors and The Southern California Pomeranian Rescue for exhibiting our Fido Studio 24 and to the Alaskan Klee Kai society for exbiting our Fido Studio 36, it was great to receive professional feedback from these groups and also to get the chance for so many dog lovers to see this new products. The weekend was a great success, the sun was shining all weekend long, (us Brits got a tad bit burnt), we handed out a number of discount codes, balloons and bumper stickers for everyone to enjoy. Come and see us at one of our next fairs to join in the fun! « WIN a $100 Omlet Voucher for Mother’s Day!